What is the best loft ladder? How often do I need to access the loft? What is the loft going to be used for? Who will be using the loft? Firstly, lets consider how the loft ladder will be used. For example, if the loft ladder will be used to access the roof space on a regular basis, it is important to opt for one that is easy to use. Therefore, it should have counter-balance springs to lighten the load and minimise physical effort. 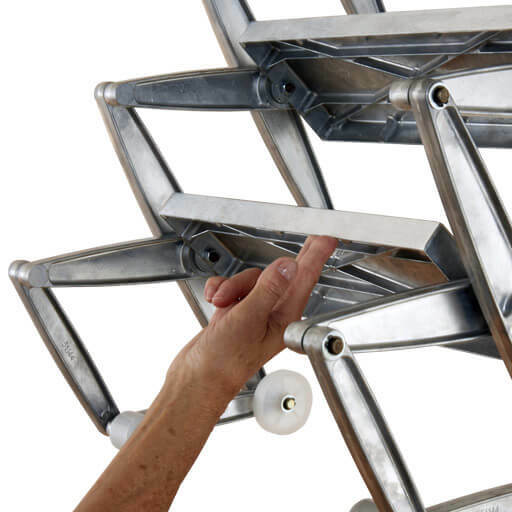 Concertina ladders are generally better in this situation, as wooden and metal folding ladders require significantly more effort to fold and unfold the ladder sections. However, if your budget will stretch to it, an electrically operated loft ladder offers ultimate convenience. Wear-and-tear will become a concern with more frequent use. As such, the best loft ladder will be one made of metal (aluminium or steel) or a high quality timber. Low cost wooden loft ladders will struggle to pass the test-of-time with frequent use. The Supreme and Elite are particularly easy to operate and therefore ideal for more frequent use. What is the loft being used for? In the majority of cases, the loft is a valuable storage space. If you are just accessing the loft for Christmas decorations, or perhaps old toys, then a light-duty loft ladder will be all that you need. Ideally, choose a product with a load rating of 150kg per tread. Most good quality wooden or aluminium loft ladders will be suitable. However, if you intend to use the loft for storing bulky items, or perhaps have heating/ventilation equipment in the loft that may need replacing or maintenance, you may wish to consider a more heavy duty loft ladder. 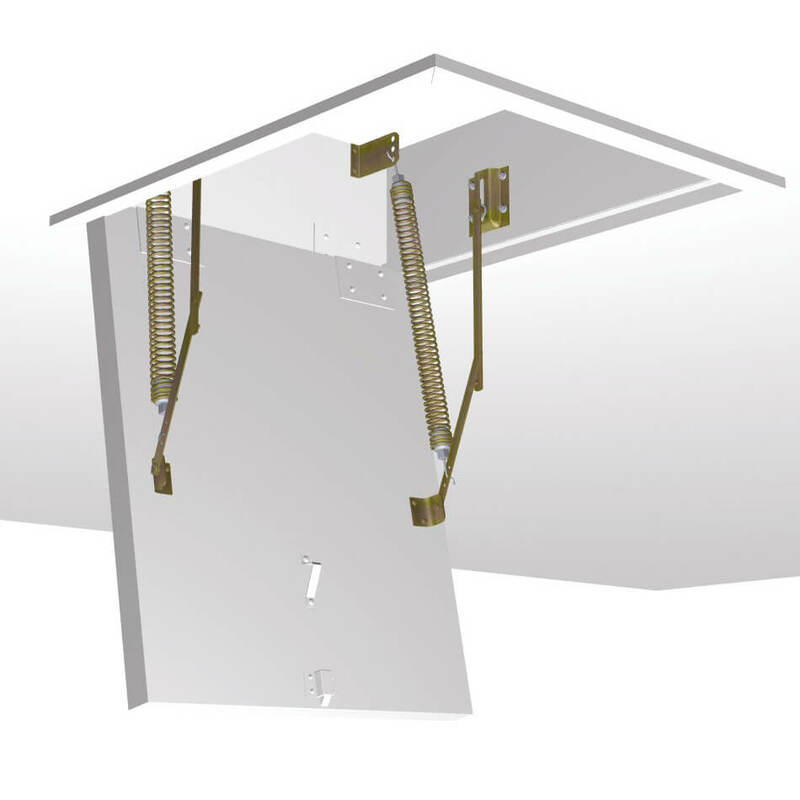 As such, look for loft ladders with a load rating of 180kg or 200kg per tread. Quadro wooden loft ladder with insulated loft hatch with 4 point locking system. Where is the loft ladder located? The location is a key factor in choosing the best loft ladder. This is because it can impact the space available for the loft ladder (hence its size), as well as the amount of thermal insulation required. The best loft ladder for a bedroom should be highly insulated and offer an airtight seal, such as the Ecco concertina loft ladder. 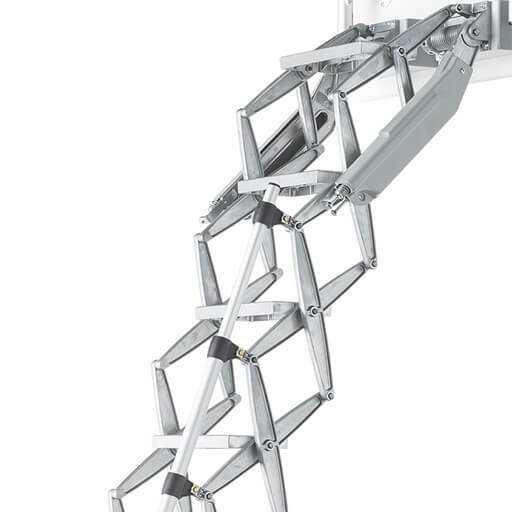 The best loft ladder for ease of use is one with a high quality counter-balance spring mechanism. For example, the Supreme and Elite range of loft ladders require very little effort to operate. 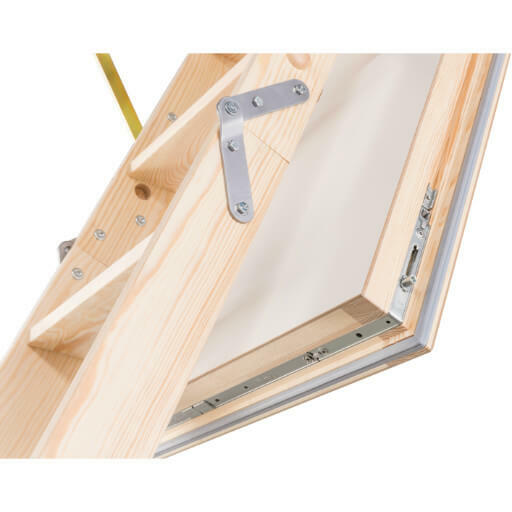 As a result, opening the hatch and extending or closing the ladder is very easy. It also improves safety. In addition, another safety consideration is inclusion of handrails, as well as choosing a loft ladder with wide and deep treads. For further details read our wide loft ladder guide. It is very important to understand the space available for your new loft ladder. 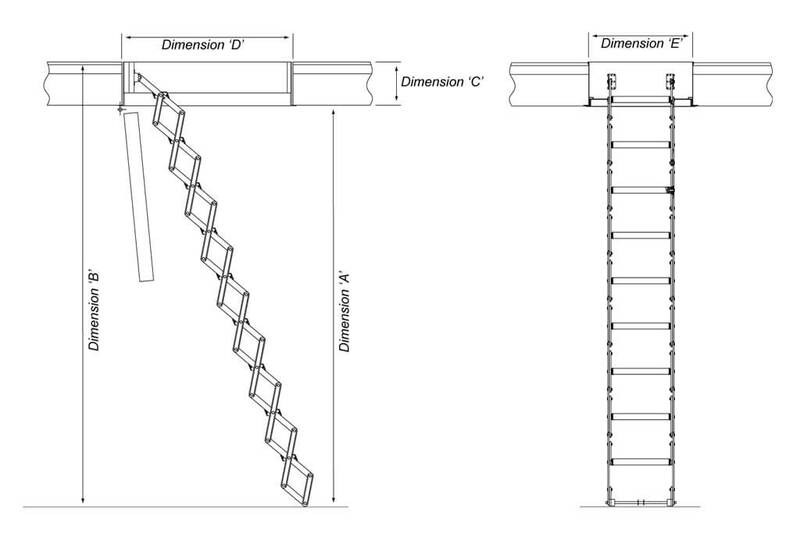 The image below shows the key dimensions that you need to measure before ordering a loft ladder. 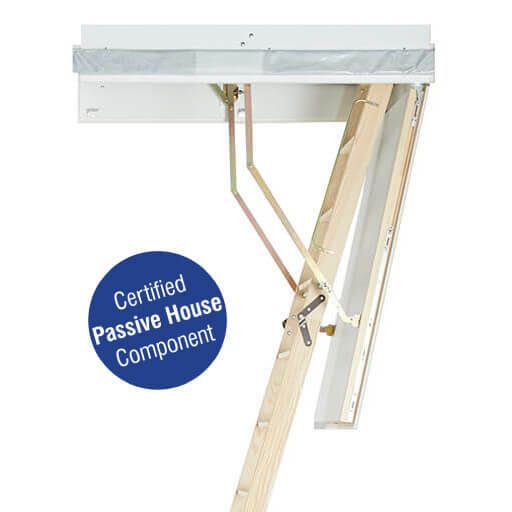 Wooden loft ladders typically require a larger opening length, because of the way they fold up onto the hatch door. Although the Quadro wooden loft ladder is available for opening lengths as small as 1m, this is limited to ceiling heights up to 2.39m. In most instances wooden loft ladders require a minimum of 1.2m. In addition, they will often require quite a large area in front to allow them to be extended. 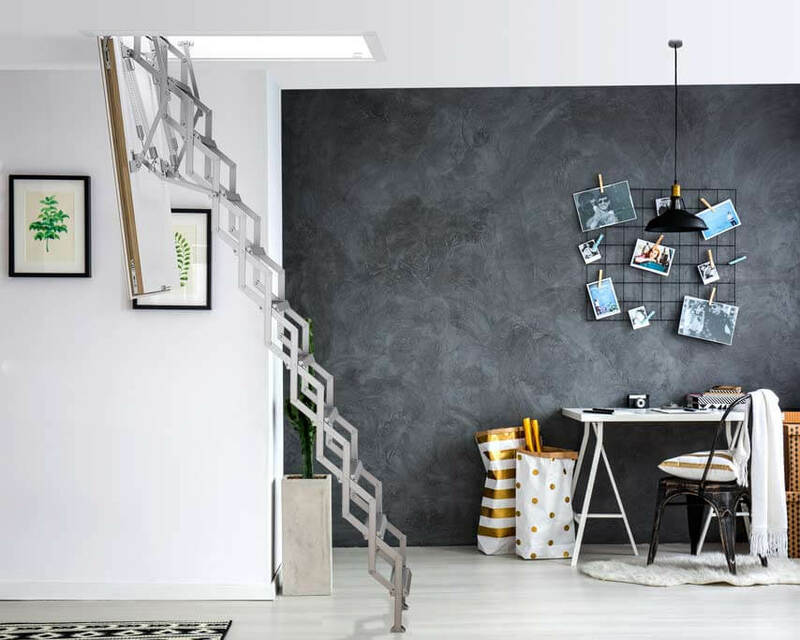 Where space is limited, concertina loft ladders provide a better option. The compact design of these ladders allow them to fit much smaller ceiling openings. For example, the Piccolo will fit openings from as small as 510mm long by 37mm wide. For help choosing the best loft ladder for your project, please feel free to contact us. We will help guide you through the options available that best suit your needs.